My parents owned a Malibu back in the late 1970s, and my best friend used to say the name "Malibu" sounded like some kind of cow. She wouldn't say that today about the upcoming 2008 Chevrolet Malibu, which has been totally redesigned to seriously compete with once-bigger rivals like the Camry and Accord. Sharing a platform with the Pontiac G6, the new profile is sleeker, with a swept-back windshield and headlamps and the new signature dual grilles that sit atop each other with a strip of steel body in between. The interior is much more upscale, with a dual-pod dashboard that wraps around and the option of two-tone cloth seats. 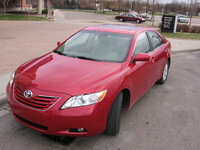 Other additions include a sunroof option that is now 70% larger than the 2007 version. The midsize sedan grows in size as well, with three inches added to the overall length and six inches to the wheelbase, making it the largest sedan in its class. Legroom now ranks with that of its more popular competitors. The three trim offerings remain the same -- base LS, LT, and LTZ, but the engines have been revamped. The base engine is now a 2.4-liter Ecotec I4 that boosts 20 hp to hit 164 hp with a choice of 4-speed or 6-speed auto tran. The new optional engine is a 252-hp, 3.6-liter DOHC V6 (that's a 35-hp improvement over last year), mated to the 6-speed automatic. All trims come with ABS brakes, traction control, dual front airbags and new side airbags. Stability control is included on the LT and LTZ. Set to come out in October is a hybrid version of the 2.4 Ecotec, available in the LS trim. This is the first hybrid in a Malibu, and it features regenerative braking and engine shutdown at stops (without sacrificing operation of certain features, such as air conditioning). It's paired with a 36-volt motor and supposedly will get 24/32 mpg. It looks like the 2008 Malibu might finally give its Japanese rivals a run for their money, offering a much better looking and outfitted car to drivers who still want to buy American. 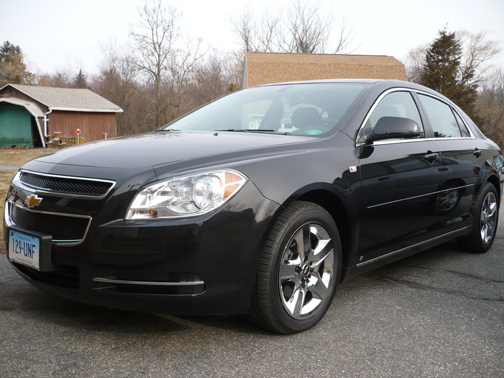 What's your take on the 2008 Chevrolet Malibu? mibarra__S90 very unhappy with it, I have an 2008 LTZ, water leaks from A/C system and sun roof drain hose, remote control system fail, TAP monitor quit, 2 oil leaks on engine at 100k miles, changing head lights. mibarra__S90 changing head light bulbs is pain...etc. Users ranked 2008 Chevrolet Malibu against other cars which they drove/owned. Each ranking was based on 9 categories. Here is the summary of top rankings. Have you driven a 2008 Chevrolet Malibu? I pulled the fuses to check them and now my key fob doesn't work at all. What is the problem? Please help!!! !